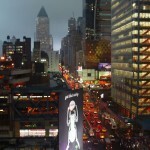 Should New York Be Wary of Utility Monopolies in Distributed Energy? Should New York let utilities both manage and compete in the distributed energy market the state is planning? That’s one of the big questions the industry is debating in New York’s “Reforming the Energy Vision,” or REV. The Department of Public Service last week confirmed its intent to let utilities act as the distributed grid operator in a straw proposal for the market design. The advisory document marks the state’s latest step in creating what may be the nation’s first distributed energy grid – one where microgrids, solar, energy efficiency and other forms of distributed energy will supplant large power plants in providing energy, capacity and other services to the system. It came as little surprise last week when the DPS recommended that utilities manage the new grid. For several months DPS staff have signaled that they see utilities as best equipped to play the role. No other entities have decades of experience handling electric distribution. But independent players are concerned that utilities will gain too much market power, since they would both manage the market and compete in it. The proposal allows utility affiliates to own and operate distributed energy. Having the utilities “act as an ‘aggregator of aggregators’ does not serve efficiency and asks for mischief,” the advocacy organization said in recently filed comments. If utilities are allowed to own distributed energy, they should do so through unregulated subsidiaries subject to the same rules as independent competitors, MRC said. The state already prohibits utilities from owning power plants out of concern that they would have unfair market advantage – since they own the transmission and distribution lines. NRG Energy, one of the nation’s largest energy companies, said that the proposal gives utilities a “virtual blank check” to favor their own or their affiliates’ assets. Even if safeguards are put in place to prohibit utilities from acting in their self-interest, “this type of market power will be extremely difficult for the commission to police,” NRG Energy said in its filing. Keep on top of news about New York’s distributed energy market by subscribing to our free newsletter. NRG listed three circumstances where it sees potential for a utility to thwart independent competitors. Interconnection: As the market operator, the utility could slow down interconnection requests from competitors, while providing a smooth path for its affiliates. “The New York distribution system (particularly in New York City) is complicated, and thus anti-competitive behavior would be incredibly difficult to indemnify and police,” NRG said. Dispatch Decisions: The utilities would control the dispatch of distributed generation, and therefore the earning power of competitors. The utility could better position its assets for dispatch because, as distributed grid operator, it would have better market information. Cross-Subsidization: NRG said it “is virtually a certainty” that there will be cross subsidization between the regulated utility and its unregulated affiliates. This would put competitors at a disadvantage since they would not have the backing of ratepayer revenue. NRG recommended two alternatives: Designate a fully independent entity to acts as distributed grid operator; or if utilities play the role, then mandate that they and their affiliates have no financial interest in the new market. New York utilities, however, see the issue differently. In a joint filing New York’s utilities argue that they are “the only viable choice” to operate the distributed energy platform. The market will be transparent and fair since utilities are subject to regulatory oversight, said Central Hudson Gas & Electric, Consolidated Edison, National Grid, New York State Electric & Gas, Orange and Rockland Utilities, and Rochester Gas and Electric, in a commission filing. A final decision rests with the state public service commission; it is expected to rule early next year. As a next step the commission will accept comments on the straw proposal until September 22. The proceeding is drawing a great deal of attention. The state has received input from 259 companies, trade groups, environmental organizations and other energy players. Despite disagreements over the particulars of REV, including utility control, the reform is widely seen as the start of a major transformation in the electric power industry. New York’s move to create a first-time distributed energy grid is likely to influence other states and ultimately boost microgrids and other forms of distributed energy. 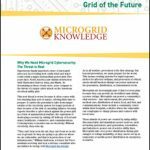 Microgrid: Did I Just See Energy History Made in Atlanta? We attempted to sell a multi-megawatt system in Chicago and when we told Chicago Edison they immediately called on the customer and torpedoed our project and sent one of their non-regulated affiliates in and stole the project. We told Chi-Ed that we no longer consider them the electric company but a competitor and that we would not inform them of any future projects until it was totally installed. We also had the same experience In Detroit and we would install co-generation systems and hide them and never tell them where they were. Utilities cannot be trusted and the free market must prevail. Can I generate electricity in Texas and sell it to any electric consumer in the U.S.? Is it true and can it be verified that more than 2000 electric customers are going off the electric grid every by investing in their own energy producing co-generation plant instilled in their own home to meet all of their own energy needs and then generating surplus electricity to sell to the final consumer?